Your main responsibilities are software and database development, maintain quant IT platform, alignment and coordination with IT department and quant analysis. Do you want to drive innovation and research new (big) data sources and technologies? We have a great opportunity for a data scientist with a continuous drive for innovation. Do you have excellent quantitative and data skills? Do you want to utilize these to combine the latest academic insights with in-depth market knowledge? If the answer is yes, this job might be perfect for you. The Innovation and Responsible Investing platform is the Centre of expertise for Responsible Investing, Behavioral analysis, data and tooling, a.o. machine learning and new techniques. Your team is responsible for a wide range of quantitative strategies & services provided across many investment teams residing within our Equity, Fixed Income and Multi-Asset platforms. Empirical research, strategy development, portfolio optimization and risk analyses are core activities. You will contribute to the management and development of an agile and robust IT and Database infrastructure that supports and enables these activities. Your main responsibilities are software and database development, maintain quant IT platform, alignment and coordination with IT department and quant analysis. In addition you will actively explore new data sources, and research new techniques like machine learning and others. You will work closely with your team members and other specialized investment teams. This vacancy is located within the Innovation and Responsible Investing team, a team of 11 investment professionals consisting of data engineers, data scientists, and responsible investing advisors. Within this platform you will be part of the whole team, where your focus is on the very important data related aspects of investing. Location of the team is the Hague. Internally this will be a Investment Professional Level 3 or 4 position. 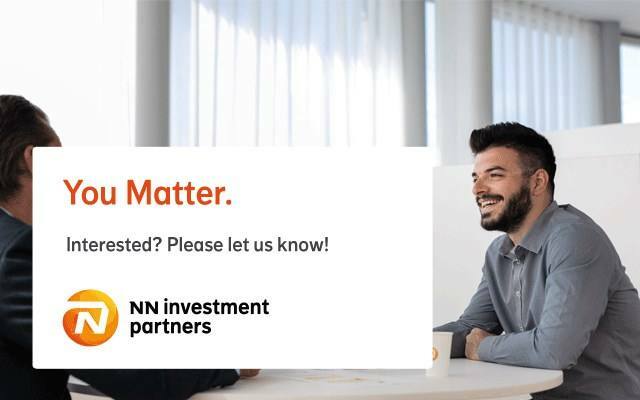 Please send your application for Senior Data Scientist/Engineer - Innovation and Responsible Investing Platform at NN Investment Partners in The Hague including your CV via our website.